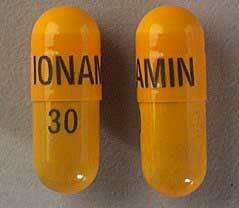 Ionamin is a prescription medication that contains the drug Phentermine. It’s made in America by Celltech Pharmaceuticals, comes in the form of yellow capsule, and is intended to offer dieters short term support to help them lose weight. It’s proved to be effective for many people, but Ionamin does not work for everyone and people who don’t appear to be making progress will find their doctor stops writing them prescriptions sooner than normal. Although Ionamin has value as a weight loss aid, it does not compare well to some of the best over-the-counter diet pills. For one thing, doctors only prescribe it to people who are dangerously over weight. The usage period is another issue. Most people who need to lose weight will need ongoing support. A few weeks just will not cut it. However, by far the biggest problem with this particular prescription weight loss medication is the negative effects it can have on the health. Ionamin can cause numerous side effects and even poses a threat of addiction. So, if you think the fact that Ionamin is only issued with a prescription is an endorsement of its power, you may want to think again. It’s prescription-only status is more probably due to the fact that its use requires close supervision by a medical expert. Ionamin has the ability to control hunger. When people are making a committed effort to eat less food, one of the hardest thing to do is cope with the hunger pangs this causes. These can be very bad. Especially during the early stages of a diet. Many dieters find it’s their hunger that controls them in the end, give in, and watch their good intentions go up in smoke. By suppressing the urge to eat, Ionamin makes it easier for dieters to maintain their focus, stick to their calorie controlled diets, and create the calorie shortage that is needed to encourage the body to begin burning its fat. 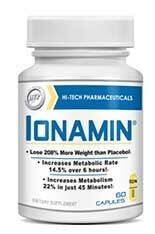 Ionamin only contains Phentermine. There are no other active ingredients. The amount of Phentermine provided will be either 15mg or 30mg, depending on which strength option your doctor has prescribed for you. Phentermine belongs to a class of drugs called psychostimulants and it has the ability to stimulate the hypothalamus area of the brain and trick it into triggering secretions that would only normally be released during times of danger. When the life is at stake any distractions may be fatal, and feelings of hunger can be very distracting, so one of the things the secretions do is suppresses the desire to eat. This inbuilt hunger control mechanism is only one of several changes that occur in the body during times of danger and is part of a response that this known as flight or fight. Usage Guidelines – Only one pill is required per day. It should be taken 10 to 14 hours before bedtime. It’s important to swallow the pill whole. If you crush it or chew it you will get too much Phentermine too soon and will be more likely to experience negative issues. Ionamin stimulates the central nervous system in a similar way to amphetamine and can be just as addictive. It also has the potential to cause a number of side effects. You can buy Ionamin from your local pharmacy, but only if you go in bearing a doctor’s prescription. Although the best over-the-counter diet pills are sold with a money back guarantee, prescription medications are not. Ionamin offers dieters a way to control hunger urges, but it does not provide the long-term support most dieters will need and its use presents many problems, including side effects and the possibility of addiction. These are problems that are common to all brands of Phentermine and it’s one of the reasons so many supplement manufacturers have developed Phentermine substitute products. The best Phentermine replacement so far is called PhenQ and it’s powered by a blend of natural ingredients that does not have a reputation for causing side effects, but does have one for getting results. Customer reviews are excellent, and PhenQ is even sold with a 60-day money back guarantee, so it beats Ionamin in every way. 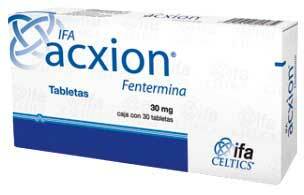 Acxion is a brand of Phentermine that is popular in Mexico. 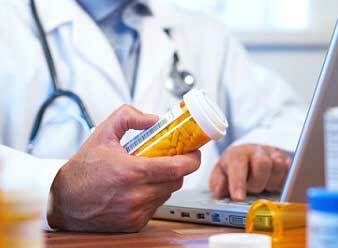 The laws regarding the distribution of Phentermine vary from country to country. In some countries it is an easy drug to buy, in the United States it is only available with a doctor’s prescription, and in the UK its use is banned entirely. Phentermine can be addictive and its use has also been linked to nasty side effects. The restrictions that are in place in so many areas of the world serve a function—they protect people from harm. The problem is, the drug has a reputation for being a very powerful diet pill, so many people who cannot obtain it through legal channels go searching for it online. Some of them eventually find Acxion, or other brands of the Phentermine, but buying drugs online in this manner is a dangerous practice. The saddest thing of all is there is no need for anyone to put their health in risk by purchasing Phentermine online. Some of the better supplement options available, such as PhenQ, provide a far superior level of weight loss without endangering the health, so Acxion is a very poor choice indeed. What is Acxion and How Does it Work? Acxion is an appetite suppressant. The only difference between Acxion and other brands of Phentermine is the name on the box. Pills that work on the appetite help people to eat less food without falling victim to constant hunger pangs. If this allows them to restrict their eating habits to a degree that is sufficient to cause the body to run low on calories, the body will start using the calories that were previously stored as body fat. This process is usually referred to as “fat burning”. Acxion suppresses the appetite by stimulating the glands that manufacture norepinephrine, serotonin, and dopamine (hormones). This results in elevated hormone levels that cause the body to go into a state of flight or flight. This would normally only occur in dangerous situations. Flight or flight preps the body for fighting, running away, or any other action that requires heightened awareness and extra speed. The condition helps ensure a better chance of survival because it makes it easier to dodge an oncoming bus, fight a foe, or run from a charging bull, etc. Feelings of hunger could be a deadly distraction in a dangerous situation so, when the body is in flight or fight, there is no desire for food. Usage Instructions – The usage instructions state 15-37.5mg are required “every morning before breakfast or 1 to 2 hours after breakfast. ” The suggested alternative is to divide the dose and take 90 minutes before meals. These instructions are far from being clear and, although taking a 15mg dose would be easy, taking a 37.5mg dose would necessitate one of the pills be cut in half or quartered—one 30mg pill + ½ 15mg (or ¼ 30mg) pill, for example. Separating the doses throughout the day would be more difficult still. Customer feedback suggests Acxion has helped some people to lose weight, but many people claim it let them down and there are numerous complaints about side effects. Phentermine is closely-related to amphetamine, so there is also a possibility of addiction. We found a few websites that are distributing the drug, but we are not going to mention them by name because we do not want to encourage anyone to purchase such a medication and use it without the correct medical supervision. However, the average price for 30 (30mg) tablets is just under USD$ 100. That’s a lot of money to pay for a diet pill, especially when safer, more effective, alternatives can be purchased for half the price. We did not find any sites that were offering customers a money back guarantee. Acxion is an expensive product and the price is probably so high because the people selling it on an international level are aware most of their customers cannot obtain it in a legal way. Bearing in mind the fact that people in Mexico will be able to purchase the drug at an incredibly cheap price, the companies that are marketing Acxion online will be making huge profits by exploiting the fact that so many people think Phentermine is such a powerful drug. Phentermine can suppress the appetite, but it is highly overrated and does not compare well to safer alternatives. We recommend PhenQ, It’s a much better option because it’s a natural product that has better abilities than Acxion, costs considerably less money, and will not endanger the health. Qsymia is a diet pill designed to be a go-to medication for doctors who need to try and reduce the weight of their most obese patients. The capsules contain two drugs, the first of which (Phentermine) is a much sought after prescription-only weight loss drug that has a reputation for delivering results. The second drug (Topiramate) is an anticonvulsant. Any weight loss abilities it may possess are secondary to its main function and its use has been linked to fetal damage and birth defects. 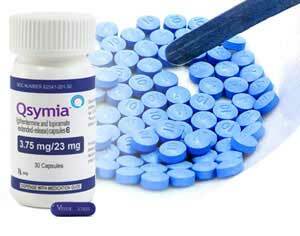 Qsymia was created by the Californian company Vivus and the company submitted it to the FDA for approval two times. The first time the FDA refused to sanction its use, stating concerns about the medication’s ability to cause birth defects and other side effects, including cardiovascular issues. The second time the medication was submitted the FDA aproved its use as a prescription only medication for the obese, even though their original concerns about the drug had failed to be addressed. Health officials in Europe took a sterner approach. When Vivus tried to get the drug approved for use in European territories, it was rejected without hesitation. Phentermine is an appetite suppressant, so it is possible that Qsymia also possesses this ability, but the truth of the matter is experts are unsure how the weight loss provided by Qsymia is attained. Obese patients involved in a year long trial achieved average weight losses of of 8.4% to 10.6%, depending on the dosage they received. 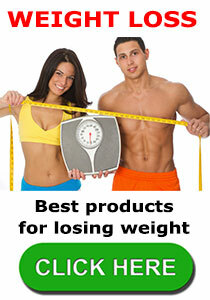 However, the researchers noticed most of the weight loss occurred within the first three months of use. In another study, comparing Qsymia with the weight loss drugs Belviq and Contrave, Qsymia proved to be nearly twice as effective as Contrave and three times more powerful than Belviq. Only one Qsymia capsule is required per day because the medication is designed to release its drugs into the body slowly, throughout the day. However, Qsymia comes in two strengths and doctor’s begin by prescribing the lower strength version (23mg) for the first two weeks. The more potent version (46mg) is used from day 15 onwards. The medication must be used in conjunction with diet and exercise though. This has been specified by the FDA and any patient who fails to show a 3% decrease in bodyweight by the end of the first 12 weeks of use will no longer be able to receive any further prescriptions. Qsymia is only approved for adult patients who have a BMI of 27 or more (with weight-related health issues) or a BMI of 30+ (without any weight related health problems). The medication is not suitable for pregnant women though, or people with certain medical conditions. Qsymia is not suitable for use alongside some mediations. The side effects associated with Qsymia are many and some of them are worrying to say the least. People who use Qsymia to further their weight loss goals will need to keep their doctor informed of any changes they become aware of (physical or mental) so the doctor can monitor the situation in the correct manner and/or stop the prescription. People using the drug are also advised to drink plenty of water each day to limit the likelihood of kidney stones becoming an issue. 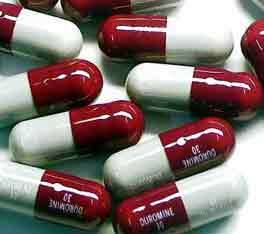 Duromine is a prescription only medication used to treat the overweight and obese. Its use can provide powerful weight loss results so, not surprisingly, it is a much sought after weight loss aid, but its controlled status is not without good reason. 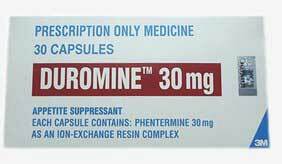 Duromine contains phentermine—a drug that has proven appetite suppressing abilities. Unfortunately phentermine is chemically very similar to amphetamine (speed) and there are many negative aspects associated with its use. Despite its negative aspects, there remains a strong demand for Duromine, but doctors generally only prescribe it for their most extreme cases so unless a patient’s wellbeing is already threatened by their overweight status they are unlikely to secure the desired prescription. Duromine is a brand name for combination drug that contains phentermine – it is a powerful weight loss drug that is only available by prescription. There are however legally available alternatives that are available to buy without restriction. 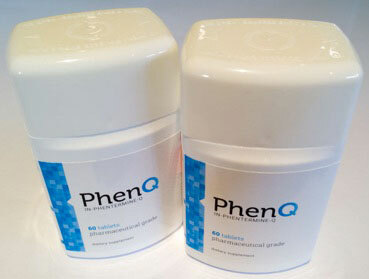 One such product is PhenQ. 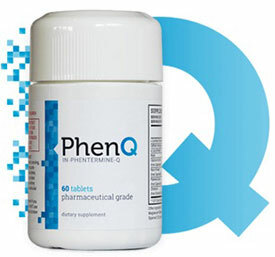 PhenQ is arguably the most popular alternatives on the world stage, it is powerful, effective and has many success stories connected to it. Duromine is designed to stimulate the hypothalamus area of the brain and cause the adrenal glands to release a chemical messenger called norepinephrine, which in turn triggers a state of fight-or-flight that naturally suppresses the appetite. Use of Duromine may also cause the body to release adrenalin which could then assist the process of breaking down existing body fat, but any such benefit is secondary in nature; Duromine’s real power is as an appetite suppressor. As with other weight loss providers, best results will be obtained if Duromine is used in conjunction with a calorie controlled diet and regular exercise. The main ingredient is phentermine, but Duromine also contains a resin that enables the capsule’s phentermine content is released at a controlled rate that ensures consistent appetite suppression throughout the entire day. The capsules also contain several binders and fillers, but nothing that has any notable value as pertains to the drug’s main function. Packs normally contain 30 capsules and the daily dose is just one capsule, which should be taken each morning prior to eating breakfast. It is important not to chew or open up the capsules, however, as any such action could interfere with the desired slow release mechanism. Potential Duromine users should also be aware the drug should never be mixed with alcohol. The side effects associated with Duromine are many and varied, and the range and severity of any side effects experienced will be different for each individual user. A much longer list of possible side effects will be provided with the medication. All Duromine users should read the included documentation thoroughly and any worries that may arise should then be discussed with a doctor. Again, further information will be provided with the medication and any concerns should always be discussed with a doctor. Although there are many negative aspects associated with the use of Duromine, it must always be remembered any side effects are only possibilities, not certainties, and which (if any) side effects apply will vary from one user to the next. Some users may experience few or no side effects, while others could conceivably experience one or more side effects that are very nasty indeed and could even be life-threatening. This is one of the reasons behind the Australian Government’s decision to impose strict controls and make Duromine a prescription only medication—it ensures a doctor’s involvement to monitor any negative issues and make the necessary decisions (including ceasing Duromine usage). It is also vitally important to remember the powerful weight loss-enhancing abilities of Duromine has the potential to improve (or save) lives. Being overweight places a strain on the body that may manifest itself as something as simple as joint pain or as lethal as a heart attack or a stroke. Duromine can rid the body of the offending pounds, and it can do so a lot faster than many other methods, but it is not, and never was, intended for general use. It’s a medicine, not a supplement, and must be treated with the respect it deserves.